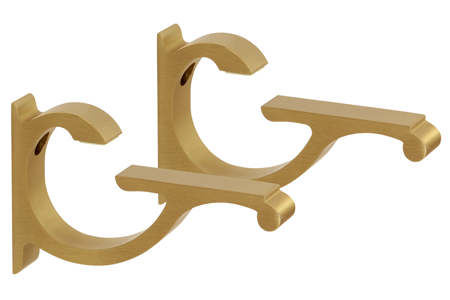 These Brushed Brass Designer Aluminum Shelf Brackets may be installed anywhere a classy shelf is desired. 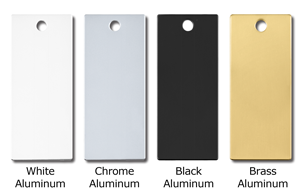 The black, chrome, white powder and brushed brass coated colors will go with any décor, and can be used in any environment including retail display, kitchen, bath, or office. 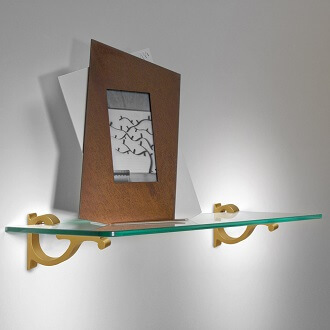 These Designer Brackets will accommodate glass or wood shelves up to 3/8 to 1/2 inches (10 or 12 millimeters) thick. 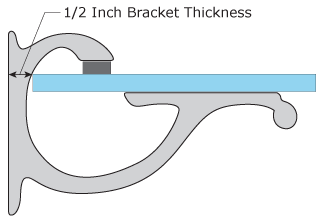 The design of the Bracket provides support on the top edge and underneath, and will hold up to 80 pounds (36 kilograms) per pair. Each pack contains two Brackets, mounting tape, spacer tabs, screws, and installation instructions. 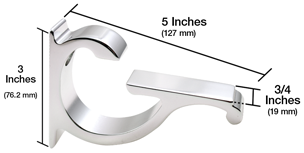 Each package contains two brackets.